There’s a lot of interest in the profession of nurse assisting right now, which is good because demand currently exceeds supply. Nursing assistant training programs are cropping up across Alabama to prepare would-be CNAs for this most important role. There are approximately 22,800 CNAs employed in Alabama, according to the Bureau of Labor Statistics. The number is expected to increase 17 percent between 2014 and 2024, which is faster than the average for all occupations. 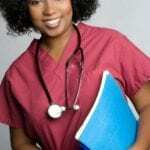 With the volume of help wanted ads for nurse aides, especially from long-term care facilities, the majority of graduates will have no trouble finding a job. The need for nursing assistants and other health care professionals will only rise as the population ages. As part of the training necessary for certification and practice as a Certified Nursing Assistant, the Alabama Department of Health mandates completion of 120 hours of theoretical and practical instruction. State-approved programs must meet or exceed this requirement for graduates to sit the National Nurse Aide Assessment Program that evaluates candidates’ assimilation of the theoretical concepts and their clinical skills. Those who complete the program and pass the evaluation will be added to the Alabama Nurse Aide Registry to practice in long-term care facilities. The Department of Health Profession at Lawson State Community College offers two tracks for the nursing assistant program. The first option is the Certified Nursing Assistant/Home Healthcare program that admits new students once per semester. The program comprises of 10 semester hours and includes theoretical and practical instruction in the lab and at a long-term care facility. Instructors emphasize communications, observation, personal and restorative care, infection control, vital signs, body mechanics, mobility, and hospice care. Graduates will be able to apply their skills as required by the Omnibus Budget Reconciliation Act and the National Association of Home Care. The second option is the Certified Nursing Assistant training program that admits students twice per semester. It comprises of 4 semester hours. Classes meet three times a week, Monday, Tuesday, and Thursday, for five weeks. The program is based on an evening schedule only –class sessions run from 4:00 pm to 10:00 pm. Graduates of this track are eligible to sit the Nurse Aide Competency Evaluation Services certification exam. The estimated cost of tuition and fees is $615.00. Students must also purchase the required textbook, pay for the required immunizations, and purchase uniforms for clinical experience. The cost of completing the CNA/HHA program is $1500. Financial aid may be available through the Workforce Investment Act (WIA). Students who successfully complete the nurse aide training at Health Care Connection will be eligible to take the Alabama State certification test to become a Certified Nursing Assistant. The state approved program includes instruction in the classroom as well practical hands-on activities in the lab and a supervised clinical experience in a skilled nursing facility. Course topics include basic nursing skills, personal hygiene, patient rights and independence, patient transfers, fluid intake and output, safety and emergency procedures, vital signs, observation and reporting, communication, infection control, and Alzheimer’s care. Classes meet Tuesday, Wednesday, and Thursday each week. Day and evening classes are available. Students must attend all classes and obtain 100 percent on the skills demonstration and pass the written exam with a score of 80 percent to graduate from the program. Tuition costs $1050 and includes the state certification exam, which is administered on-site. Students must purchase uniforms, textbooks, blood pressure cuff, and stethoscope. Nursing Assistant Solutions prepares students for a career in health in just 3 weeks. The program is approved by the state and includes classroom lectures and a supervised clinical externship that gives students the opportunity to use their skills in a real-world environment. The training covers instruction in basic nursing skills, infection control, nutrition, body mechanics, anatomy and physiology, rehabilitative and restorative care, and vital signs. Students must attend all classes and complete a TB test and obtain Hepatitis B, measles, and flu vaccination before commencing the clinical externship. The all-inclusive tuition is $1,700. Students enrolled in the Certified Nursing Assistant program at Jefferson State Community College receive the skills needed to function as an important of the health care team. They will also have the have the knowledge and competencies to pass the National Nurse Aide Assessment Program. The 110-hour program includes a 20-hour clinical externship at a long-term care facility. Day, evening and weekend schedules are available. 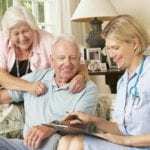 Areas of study include communication and interpersonal skills, patients’ rights, infection control, caring for the dying resident, the long-term care facility, restorative and rehabilitative care of residents, infection control, psycho-social aspects of aging, and Alzheimer’s disease and related disorders. The course fee is $899. Additional costs include textbook, CPR, vaccinations, malpractice insurance, uniform, and supplies. Workforce Investment Act (WIA) scholarships may be available for eligible students.